I’m kind of embarrassed to say, despite living in New Jersey, within a drivable distance to the shore, I only went ONCE this summer… and it was with my kids, to the boardwalk. Zero beach time this year – how is that possible?! Despite my lack of time spent sun-bathing, I still managed to get bronzed glowing skin without stepping foot near a beach or pool! And better yet – with just a handful of products I’m able to maintain my healthy glow year-round. Bring it on fall!!! Xen-Tan » Fresh Tanning Mousse .:. I’m no stranger to self tanner, and this is one of the best. It dries within minutes, develops within hours upon application, and doesn’t have the typical bad self-tanner smell – it actually smells really good! I like to apply this at night after showering to allow it to fully set it and wake up to beautifully tanned skin. I prefer mousse over lotion because I find it easier to control & blend. The color doesn’t streak or look orange at all, and lasts on my skin for about a week or so! Sol de Janeiro » Brazilian Bum Bum Cream .:. OMG, I cannot get enough of this cream, I am addicted. 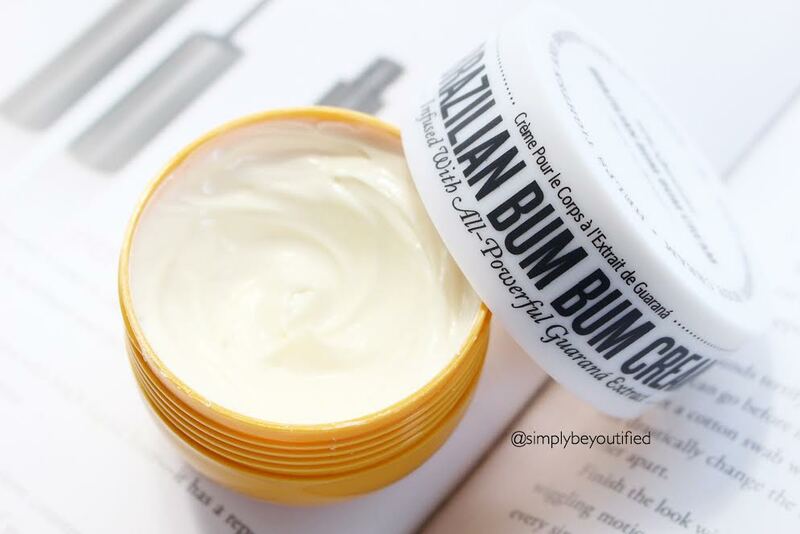 I saw this trending on Sephora’s site and the name caught my eye.. bum bum cream? Basically its a body cream that helps tighten & smooth skin. It contains Guaraná which is one of the most potent forms of caffeine out there. It also contains a luxurious blend of capuacu butter, acai and coconut oil. I have reached for this ALL summer long, every single day. It’s a really rich, thick cream that leaves my skin incredibly soft with a hint of shimmer. Best part..? The scent is intoxicating.. hands down the best scented lotion ever. 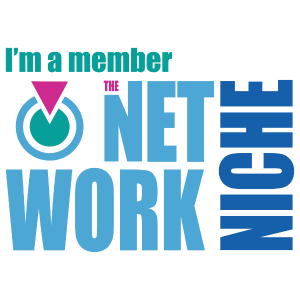 I use this all over my body from head to toe for hydrated, tight skin. In love!!! The Estee Edit » The Barest Bronzer .:. I have the hardest time finding a good bronzer that looks good on my skin. This is it! The color is a beautiful golden brown and is so easy to blend out & build up. I love to use this as bronzer AND to contour. It’s not orangey, muddy, shimmery or dull and truly compliments tanned skin. Oh and the pan is HUGE so this is definitely my go-to bronzer for a very long time! The Estee Edit » Flash Illuminators .:. This was my first product I’ve tried from The Esteé Edit and what totally won me over. It comes in 5 shades and pairs hydrating skincare ingredients with beautiful glowing illumination. Depending on the shade you choose it can be used as a highlighter (spotlight), blush (day light), bronzer (sun light/night light) or all over face glow (morning light). My favorite way to use this is to add one pump of the morning light shade to my liquid foundation to add a subtle radiance to my skin. The texture is really smooth & lightweight and is really easy to control. The intensity can be as subtle or as bold as you’d like and the shades are universally flattering. These illuminators pack a huge punch in leaving your skin glowing & radiant. 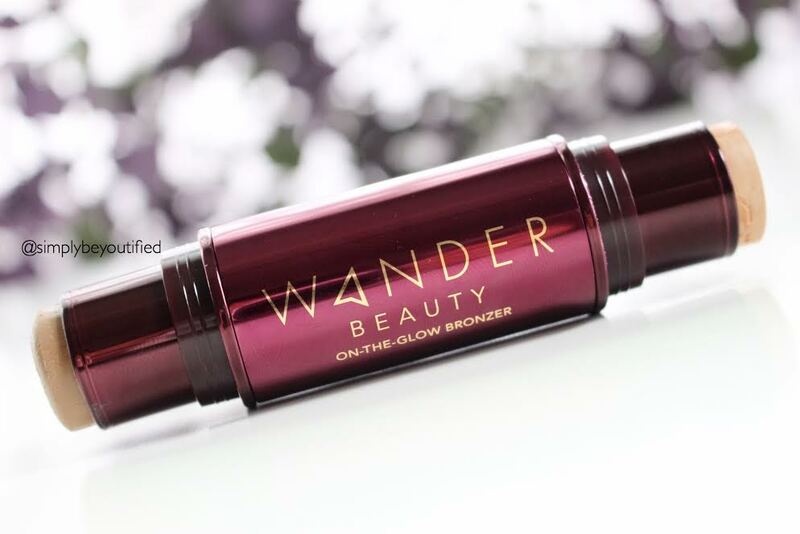 Wander Beauty » On-The-Glow Bronzer and Illuminator .:. If you’re not into using self-tanner on your face, this is a great alternative. Glide a few swipes of the malibu bronzer on your face over foundation (or in place of) and blend. I love using cream foundation sticks, and I’m really digging this and find myself reaching for it more often then not. It gives such a natural finish and is really lightweight. I love that I don’t have to worry about the infamous *cake face* when I use this and the color malibu/candle glow is spot on with my skin tone. The highlighter candle glow is perfect for strobing and offers a pop of shimmer that can easily be intensified depending on how much you apply. Dual-ended and travel friendly, this is a must in my makeup bag. The Barest Bronzer looks great! It’s reeeeaaally good… First bronzer I’ve loved in a while. 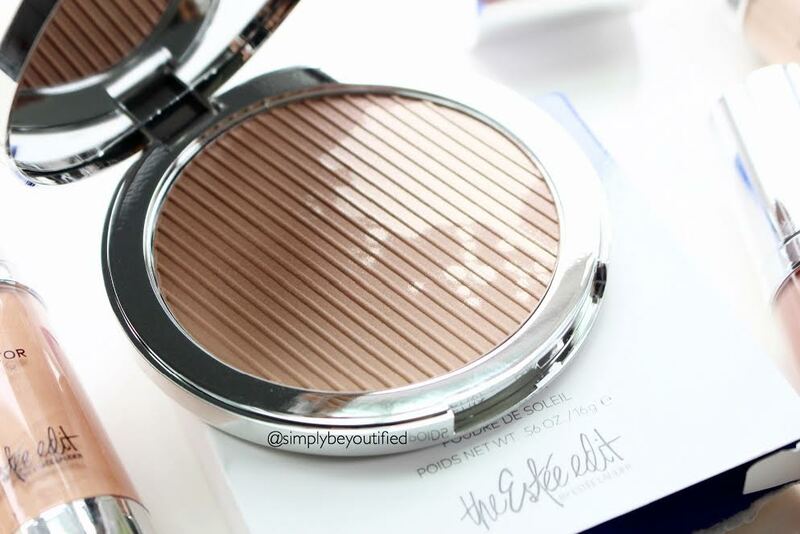 I have honestly never heard of the Estee edit illuminating products before until this post! But they look absolutely fab. Definitely gonna have to give them a try! The whole estee edit line is fairly new (I think it launched 6months or so ago!) The Illuminators are awesome – def worth checking out at sephora!! 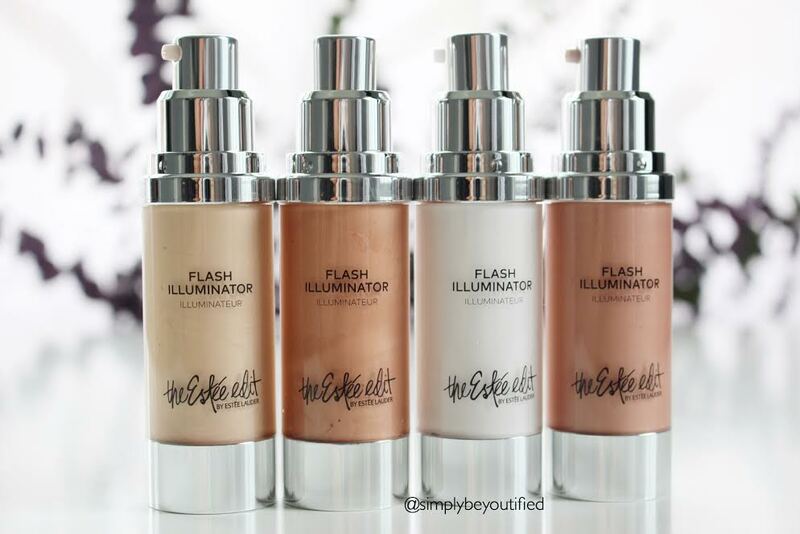 The flash illuminators look amazing! !